Foremost the need of any business set up is to create a well contented platform that can explain their business concept, services and expertise to the customers. Being a part of this web era, nothing can be better than an online webpage to land over. The web is a hub of all sorts of information and is an ocean of knowledge about any topic you can raise your thought on. Now, if you own a small business, then you need to think broadly on every prospect of widening and promoting it. Marketing and different forms of media are the one that helps in shaping and supplementing the business. Well! Digital marketing is an emerging field that has set a pedestal for all the needs of a business starting from launching products, counting payments till retaining customers. Search Engine optimization (SEO) is one of such strategy that helps in raising the rank of your website so that it may be found among top search engine results. But web content also has a high level of competition just like any other field. 1. Deciding business goal – Framing a well thought business plan is the first and the most important phase of any business. 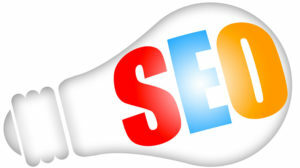 Also, if it is upheld through good SEO technique, it will be a booster for you. 2. SEO Keywords – You should not forget to start your content with SEO keyword(s) as it gives the most probable search prospects to the content and thus the rank of your website will also increase. Follow SEO Karate rule that stands for ‘keywords, architecture, relevance, authority, technical and extra listings’. Choose correct keywords according to your business concept, optimize your website with links and meta tags, mention only relevant content, hand out content to press releases and listings, design your template technically that includes landing page, also add additional listings in the form of blogs, links, etc. 3. Hyper linking – Hyperlinking another website of the same kind can also give a way to your business. Even if you are afraid of traffic getting diverted towards another website; still you should link it up with yours because your website is the only gateway for another too. Thus, it is mutually beneficial for both. 4. Identifying your target customers – It’s been a challenge to identify your target customers among those crazy youth hanging out on Facebook or those business tycoons present on LinkedIn or else those present on Twitter too. Digital media has a similar group of people either on Facebook or link ups similar class on LinkedIn thus helps you in identifying and catching up your target customers at one platform. Thus, link your website to these social hang outs in order to attract traffic towards your website. 5. Be consistent and energetic for events – Your webpage should be continuously uploaded and updated with the content that keeps it fresh and rationalized. Also, be active on your domain – this obviously is not limited to uploading articles and blogs on it. You need to be socially active with open senses of reacting wherever thought necessary. 6. Be aware about your On-page SEO – On-page SEO is so specific that they include reader’s query in the headings and subheadings itself. Google trends help in justifying some of the content that are regularly updated and build up broken links. These consecutively help in upgrading your website. 7. Blog frequently– Business tycoons who prefer blogging regularly are 13 times more likely to achieve positive results. It leaves a long term impact on the visitors as they can generate more interest by reading guest blogs and solve out their query. Furthermore, you can raise your business set up by using aforesaid SEO techniques. Wish you good luck in all your endeavors! !